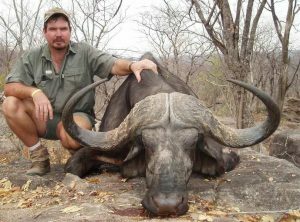 Hunt to be conducted in the famous Marula district which is renowned for big Tom’s. Observers if any US$ 100 a day. All meals and Beverages, Daily laundry , the services of a PH and his vehicle all staff and transfer from Bulawayo airport to hunting camp and back. Trophy field prep and delivery to Bulawayo taxidermist for processing further or shipping. National Parks Scout @ $80 for the days required. Baits or pre baiting. PH and Staff gratuities at own discretion.